Are you tired yet of working to the lowest common denominator? Think about it. Every problem under discussion in public education boils down to it. Funding. Staffing. Standards. What's the least, the minimum we can expect everyone to accept? To make it sound reasonable, we reference "milestones" and "benchmarks" to suggest that anyone can go beyond these minimum expectations, but the reality is the lowest common denominator becomes the de facto goal. Bars are lowered. Expectations settle. Learning is minimized, meted out, and measured. 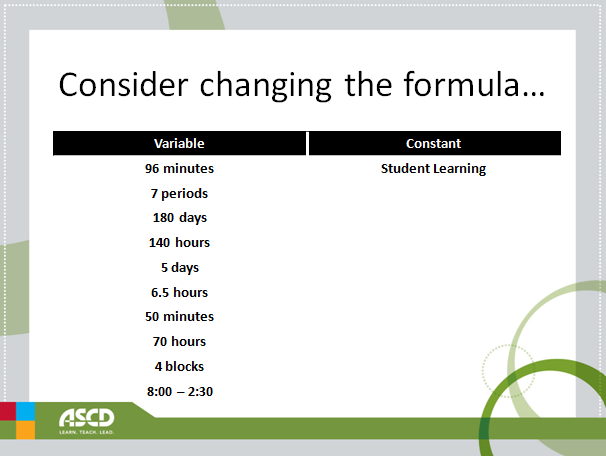 But what if we changed the formula so that minimum measures of learning become the variable and student learning becomes the constant for success? ASCD's Whole Child Initiative refutes the phenomenon of the lowest common denominator. It raises the dialog beyond seat hours and test scores. Learning is the internalization of new human experience; there is more in play than student attendance and making the grade. The whole child approach is based on the premise that all children can learn. If you disagree with this assumption, stop reading now and start looking for work in a profession other than education. Still with me? Good. The whole child approach espouses the impassioned conviction that a child educated is a child who has reached his or her full potential as a contributing member to society. Think about it. How likely are you to be at the top of your game today if you feel ill? Threatened? Disconnected? Unsupported? Bored? How likely are you to function to the best of your ability if you believe the deck is stacked against you? Who wants to fully participate in a system preparing you to successfully reach the lowest common denominator? Now flip the equation. Picture yourself in an environment where everything is in place to help you reach your full potential. You have a sense of personal well-being and security. You are doing important work that gives you a sense of purpose and satisfies you. The people and resources you work with bring out your best and challenge you to realize new skills, talents, and abilities you've never experienced before. You grow and thrive. You want to participate in this environment. Rather than the lowest common denominator, the whole child approach elevates education to its greatest common factor: everyone reaching their full potential. This displaces the tendency to settle for the lowest common levels of proficiency and challenges our education system to raise the bar by meeting the individual needs of each student. One definition of success is not appropriate in a diverse society. One path to learning does not suit everyone. One size does not fit all. The industrial ideal of standardization has outlived its usefulness. The information age ideal is individualization, and technology makes it all humanly possible. Encouragement to consistently, continually, and successfully realize one's full potential. The greatest common factor rises above partisan pedagogical belief and polarizing political debate; these things divide and conquer education into incompatible camps of competing self-interests and self-fulfilling, self-defeating prophesies. Strip away all the propaganda and hyperbole, and like clean air and water, no one is opposed to each child, in each school, in each community reaching his or her full potential. Sure, it's harder to aspire to the greatest common factor. It requires major shifts in thinking and assumptions, the choices we make and the action we take in educating our children. But in the final analysis, isn't that the working definition of education transformation? Reject the lowest common denominator. Rededicate your work to the greatest common factor for all children: the whole child. 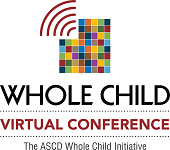 Join Walter and Thomas Hoerr, head of school, New City School, St. Louis, Miss., for their presentation, "Grit: Multiple Intelligences and Instructional Technology in the Classroom," on Thursday, May 9, as part of ASCD's free, online 2013 Whole Child Virtual Conference. Registration is now open. Go to www.ascd.org/wcvirtualconference to sign up.